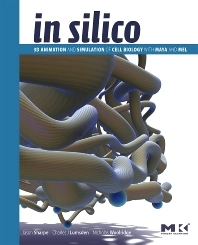 In Silico introduces Maya programming into one of the most fascinating application areas of 3D graphics: biological visualization. In five building-block tutorials, this book prepares animators to work with visualization problems in cell biology. The book assumes no deep knowledge of cell biology or 3D graphics programming. An accompanying DVD-ROM includes code derived from the tutorials, the working Maya computer files, and sample animated movies. Students, educators, and professionals working in 3D visualization in biomedical science. Professionals in cell, molecular, and computational biology. Animators in education, film and games interested in more realistic depictions of biology.